'Necessity is the mother of invention'. In India, government regulation is the mother of necessity and that is why in a market that loves the allure of a diesel engine, we suddenly have a spate of large petrol powered SUVs being launched by a number of manufacturers. 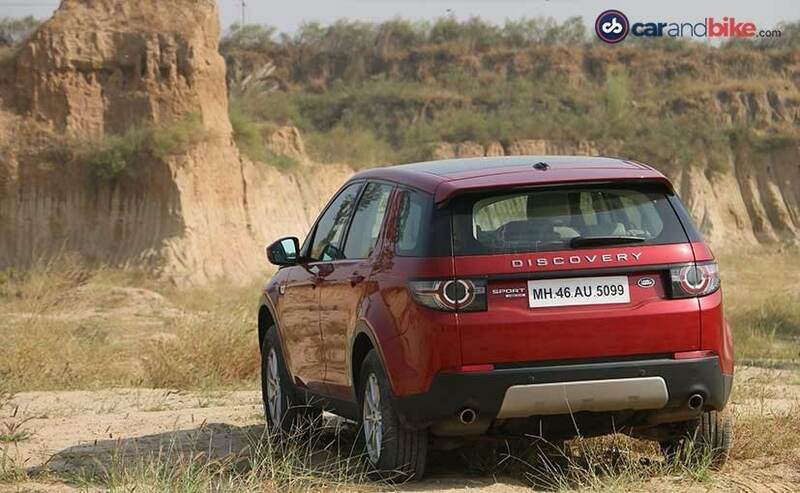 The Land Rover Discovery Sport here is one such SUV that was originally meant to be available only with the diesel motor but now also gets a new 2.0-litre petrol engine just in case the ugly head of the 'diesel ban' decides to pop up again. Visually, you will be hard pressed to see the difference between this petrol and the other diesel models, as with the exception of a very small badge at the rear, they are identical. But crank it up and instead of the clatter that you would usually associate with any large SUV, what you get is a very quiet hum. The gear selector rises up from the centre console (a feature which is still very cool) and three clicks clockwise from Park to Drive and you set of with an uncanny silence about you. After all, the Discovery Sport we have driven in the past (and quite extensively) does have a typically clattery diesel motor under the hood and the petrol engine makes the luxury car experience a lot better and quieter. The engine itself is a 2.0-litre, four cylinder, turbocharged mill that makes 236bhp of peak power and 340Nm of peak torque. 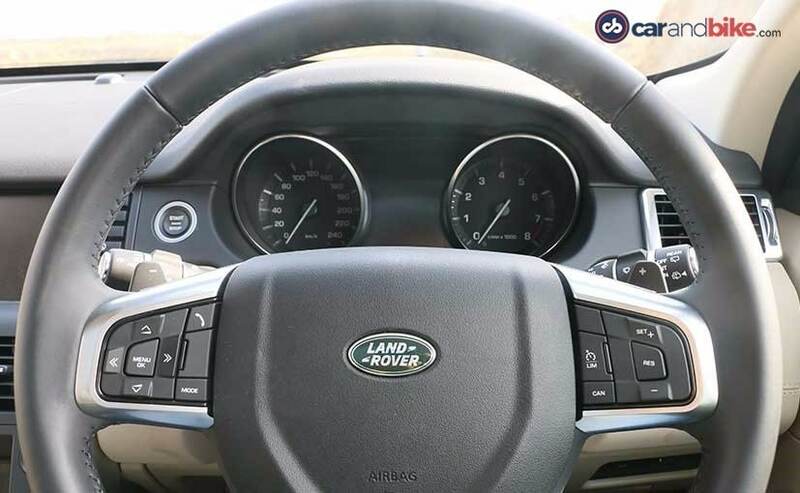 The 9-speed ZF gearbox is identical as the one you find on the diesel and most other JLR India products and in normal D mode it does its job of shifting through the gears with a sense of restraint. There is a noticeable level of turbo lag when you set off from a standstill but get the engine above 3000rpm and everything really comes alive. The Discovery Sport then goes from a show trained Poodle to an overexcited three month old mongrel puppy growling and begging for your attention. The quietness in the engine is gone - replaced with a very good intake and exhaust note which urges you to red-line the Disco Sport more often than your wallet will be happy with. As we mentioned, the petrol powered Discovery does feel slightly slow to get off the line but once it does get moving, mid range and top-end power delivery is extremely good making the car very usable on the go. Shift to S for an even better driving experience (especially on the highway) and a slight twitch of the right leg propels you well into illegal speed territory and although the Discovery Sport is not what you would call 'fast', it is still quite spirited. The petrol engine is nearly 50bhp more powerful than the diesel engine and this does make the petrol a lot thirstier car to live with. 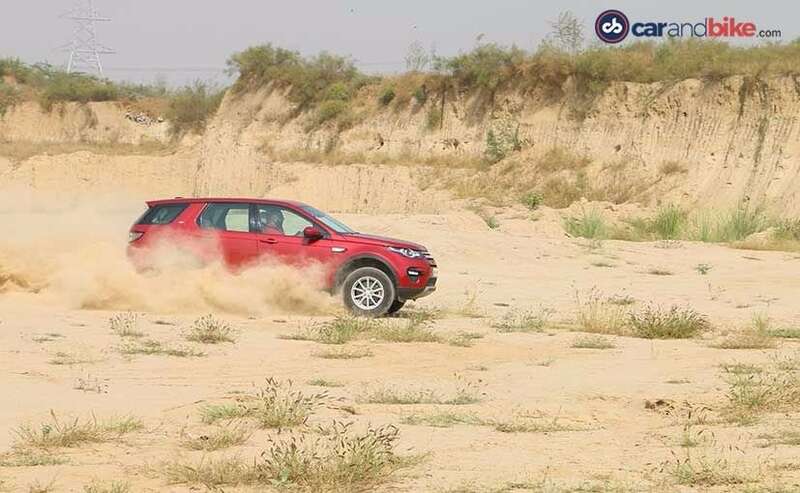 The petrol variant gets only the 17-inch wheels instead of the slightly larger 18-inch ones and although they do look too plain for something as well designed as the Discovery Sport, it does end up improving the ride quality even further. There is still a bit of firmness you get out of the suspension setup at lower speeds but get it into a highway cruising pattern and the Discovery Sport wafts like a luxury sedan would. The petrol powered Discovery Sport does not loose any of it's off road capabilities either. Yes, the engine does lack the outright torque to crawl out of sticky situations, but with a little bit of skill and precession, you can go places most of it's competition would never bother wandering in to. 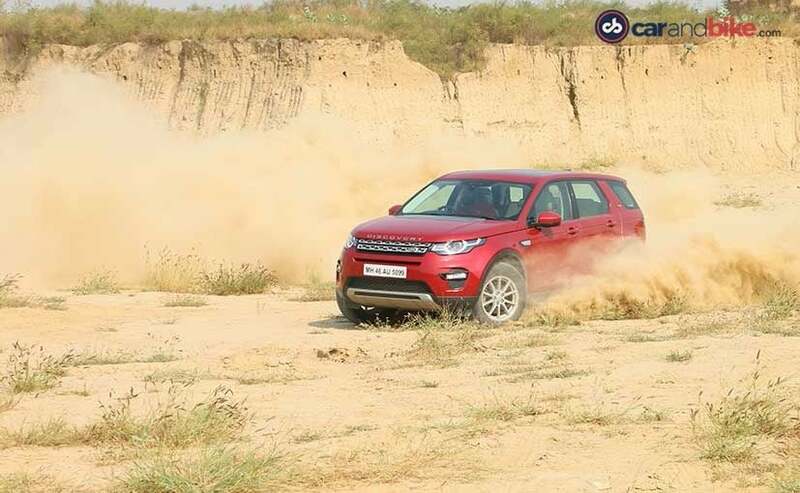 All said and done, we like the petrol powered Discovery Sport not because it is quieter or more powerful but because at about Rs 8 lakh cheaper than its corresponding diesel option, it just seems like great value. That said, it is still about Rs 5 lakh more expensive than its only rear direct competitor, the Mercedes-Benz GLC 300. 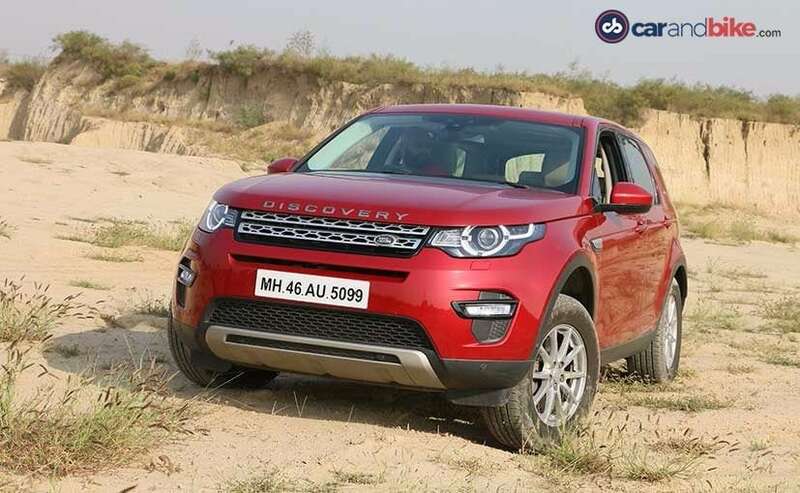 What we would love to see Land Rover India do is give this car a bit more power, a louder sports exhaust and a nicer set of large wheels and sporty bumpers. Now that would definitely make this reserved 7-seater SUV an even tastier proposition than it already is.